Proof. 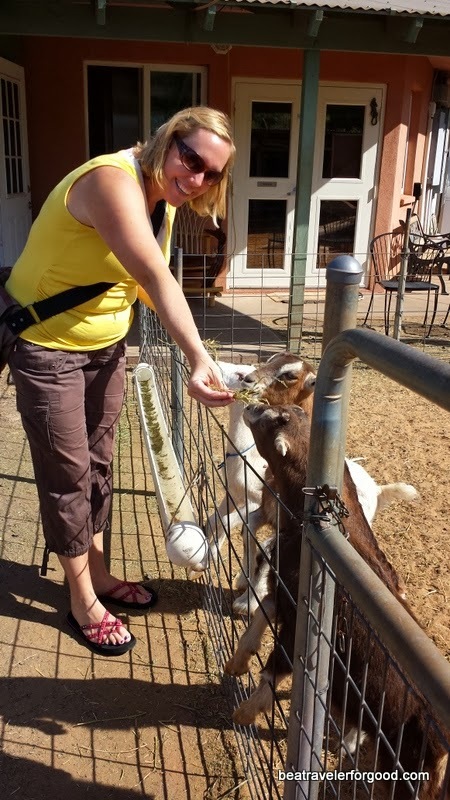 Feeding goats is fun! I'm still in full on "I just moved to Hawaii and I want to do all the things" mode. And I wanted to go to the goat farm. I mention this in passing at work on Friday and on Saturday we had a girls road trip to visit some of the sights upcountry. Upcountry may be a Maui specific term. Here on the west-side (represent!) there is no "up". You can't drive over the mountain. You can drive around it. On windy coastal roads that have some harrowing one-lane stretches. Good thing that banana bread is your reward. On the other side of the island there is a north-side, a south-side, the road to Hana, and Upcountry. It's the country. 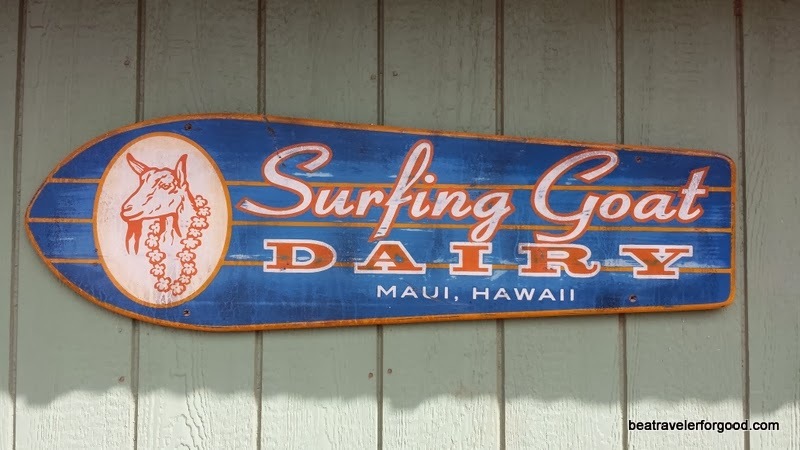 It's where Maui-grown produce comes from. There is even a rodeo in the summer. And it's up. Elevation. Sometimes it's even cold there. On our way, we stopped at Anthony's in Paia for Anthucinnos (with ice cream!). Then butter rolls and stick donuts at the Komoda Store and Bakery in Makawao. Proper pre-goat nutrition is important. Surfing Goat offers tours or even a chance to do chores. We opted to buy a bag of hay to feed the goats. $1 well spent. 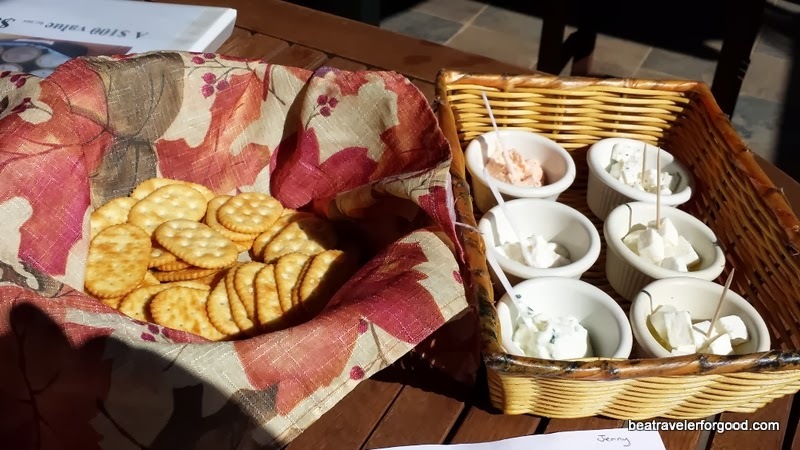 And we sat in the sun and had a cheese tasting with three kinds of chevre and three kinds of feta. The lemonade, made with lemon, lime and honey was awesome. Can I recreate it at home? 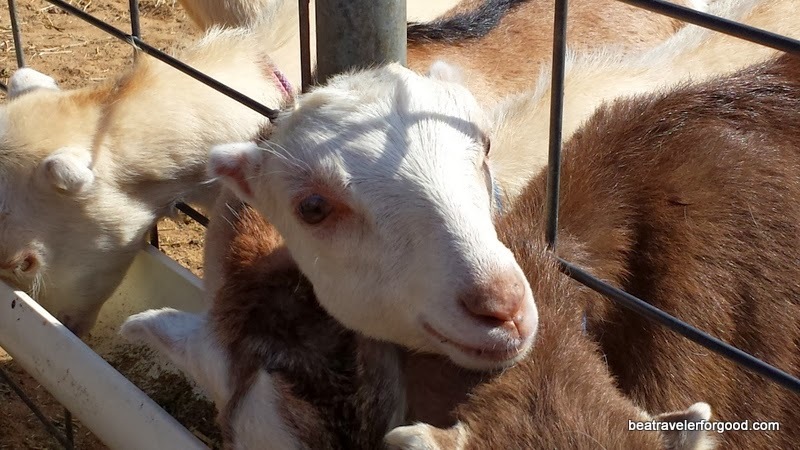 Or will I use it as an excuse to go and pet more goats and eat more cheese? This Wisconsin-born girl loves her cheese. I Saw a Hawaiian Monk Seal! How Happy is this Honu?